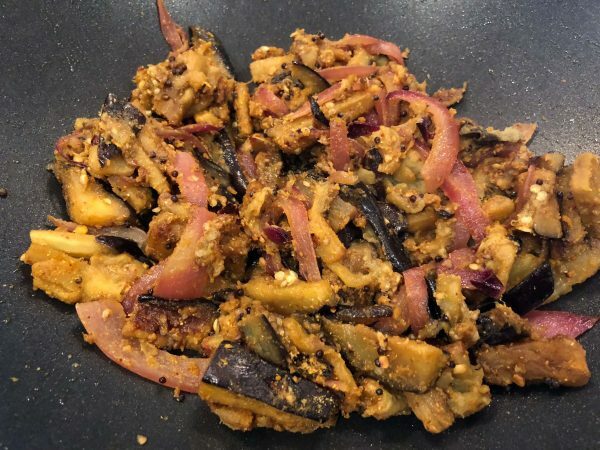 This is one of the best versions of eggplant/brinjal/aubergine made with a special spice mix. Like most children, I wasn't too fond of eggplant growing up, due to the texture. But my patti got me to eat this in her own special way. 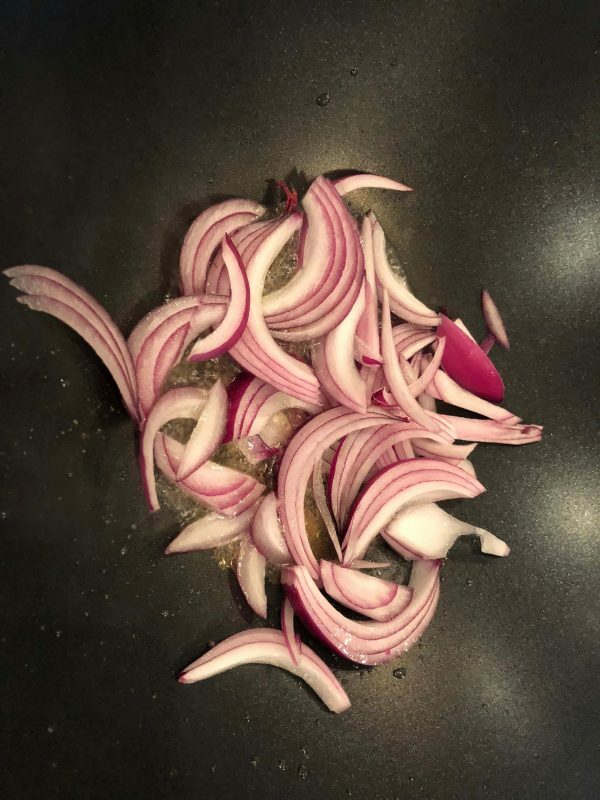 After she made this curry, and transferred it to a serving dish, there would be invariably some sticking to the kadai (or maybe she left it on purpose). 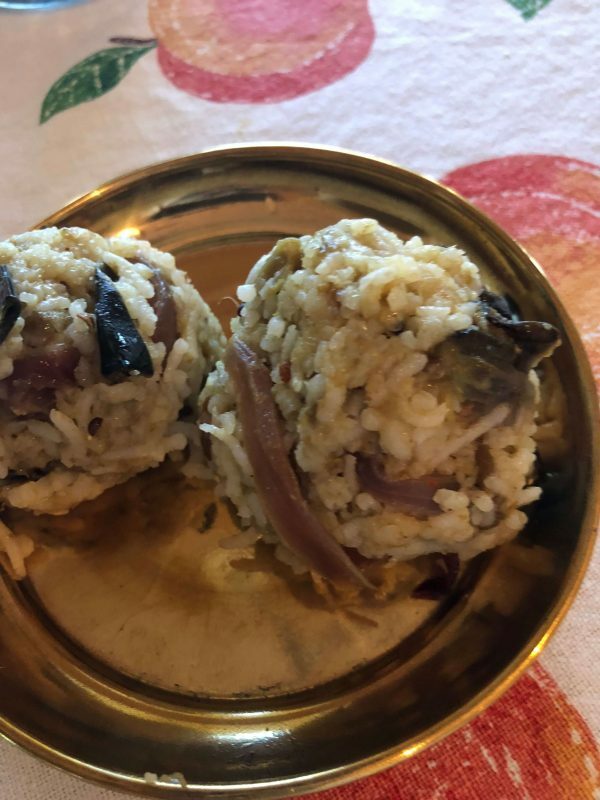 Anyway, she would add some hot rice to the baanali (that's what we called the vaanali in our family), add a couple of spoons of ghee, and mix it all together, make balls of the rice shining with the eggplant and the ghee, and go around distributing it. Oh man, that was the best! 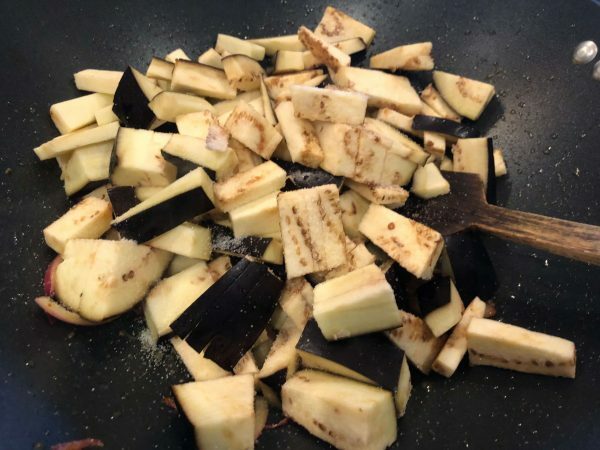 To this day, I do it every time I make eggplant curry this way, but somehow my memories taste better! Enjoy with rice, sambar, rasam or yogurt rice! The spice powder is very useful to add to curries and kootu, so I make more than what I need and use it for a month or two. Just increase all the ingredients in the same ratio. 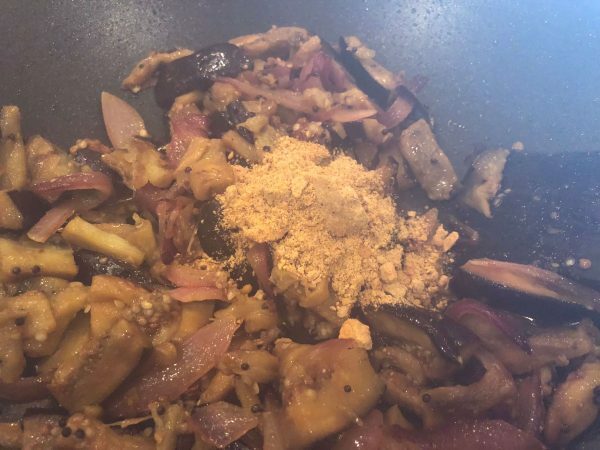 Sometimes, I use puliyodarai podi which has sesame seeds in addition to the above spices instead of this curry podi. Other vegetables that are good to be added in this curry are: slivered potatoes and peppers. 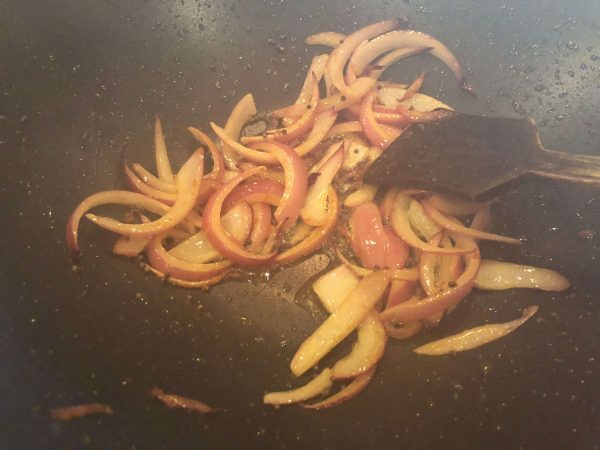 Just make sure that you use a wide, shallow pan instead of a deep/curved pan as they will all get mushy.